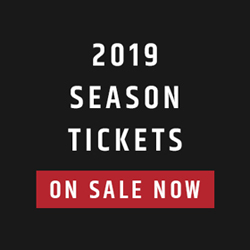 It can be a painful exercise for any Canadian Football League team – minus maybe the Grey Cup champion Calgary Stampeders – as they work to rebuild or reload for next season. The process forces the team’s coaches and executives to pick at some still-fresh wounds from the year just completed, all the while focusing on what will change – and what needs to change – for 2019. 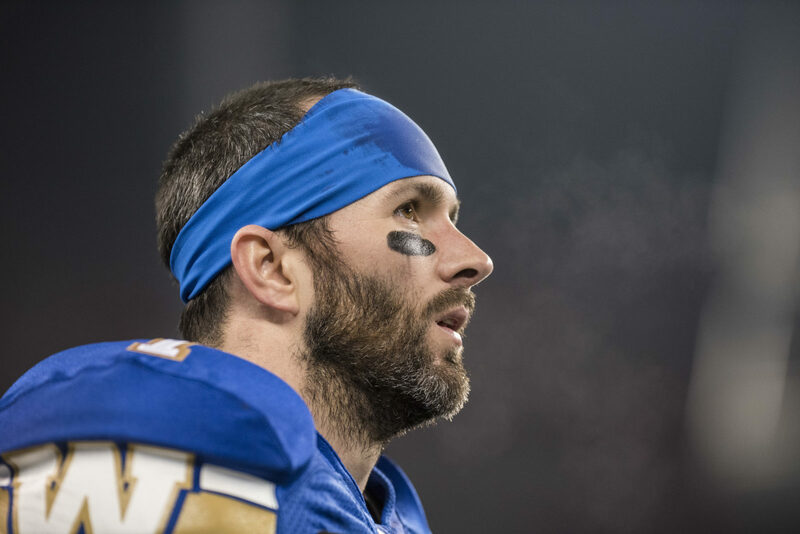 The Winnipeg Blue Bombers are no different, of course. Yet, as GM Kyle Walters met with the media Friday morning for his year-end address, there was also an obvious sense of frustration about all the uncertainty regarding the next few months. This will NOT be a business-as-usual off-season for Walters and his CFL counterparts. Not with an expiring collective bargaining agreement that, should it not be renegotiated and signed soon, could make the annual free-agent feeding frenzy in February completely moot. It’s difficult to build a roster, after all, with no clarity as to what number the salary cap might settle on, not knowing if the minimum salary might increase, and if teams will be required to add a Mexican player given the new alliance with the Liga de Futbol Americano Professional. The Bombers have a whopping 31 pending free agents – still below the league average of 37 – including starters Brandon Alexander, Adam Bighill, Sukh Chungh, Nic Demski, Weston Dressler, Kevin Fogg, Matthias Goossen, Jackson Jeffcoat, Taylor Loffler, Drake Nevis, Tristan Okpalaugo and Jovan Santos-Knox as well as kicker Justin Medlock and long-snapper Chad Rempel. The Bombers were 10-8 in 2018 and finished third in the West Division after going 12-6 and hosting a playoff game in 2017. But Walters felt that the playoff win in the Western Semi-Final and their showing in a West Final loss to the eventual Grey Cup champion Stampeders represents progress. “Like eight of nine teams who don’t win that final game, you’re disappointed,” he said. “But when you look back and evaluate the whole year, I’m proud of the team. We went through a tough stretch in the middle of the season where a lot of people had written us off and said it wasn’t our year. And then after that bye week we came back and went on a nice little run and we’re playing really good, sound football down the stretch and won a playoff game in a real tough environment. No free-agent addition had a bigger impact on their club in 2018 than middle linebacker Adam Bighill. 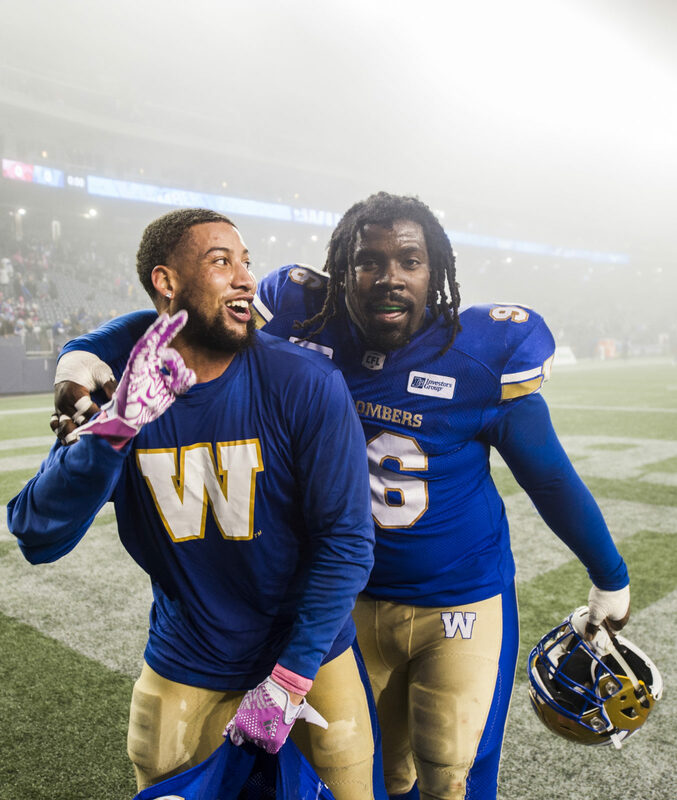 The veteran defender didn’t just fill a hole in the Bombers defence en route to becoming the CFL’s Most Outstanding Defensive Player, he brought leadership and an attitude to a defence that needed both. 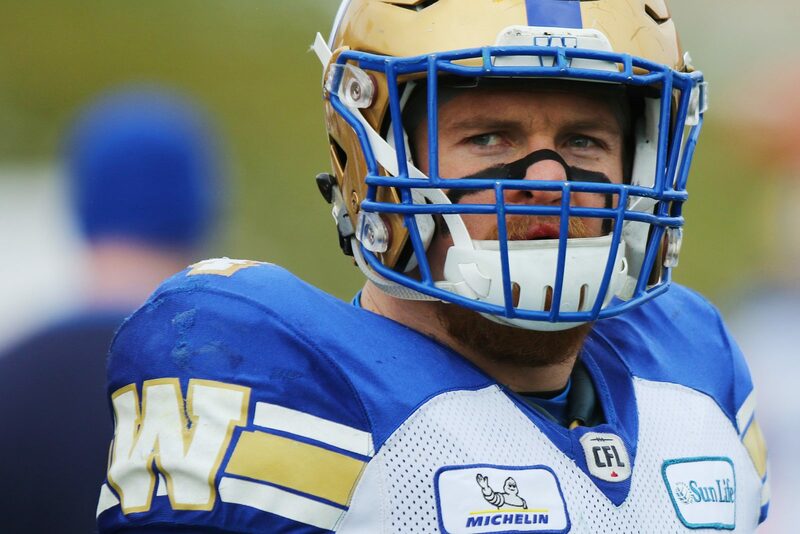 But Bighill is heading into free agency again this winter. Walters said he has spoken casually with the star linebacker and met with his agent at the Grey Cup in Edmonton. Asked how confident he was in bringing him back, Walters wouldn’t tip his hand. “Who knows? There’s the player experience, which I’m quite confident in this city that he enjoyed his experience this year, that he saw what a first-class organization we are and that he enjoyed his time here and had success on the field,” said Walters. “But then there’s the business end of things and his agent’s job is to take a deep breath and figure out what Adam wants financially, personally, and all that sort of stuff. It’s very hard to predict at this point of the year who is going to come back and who’s not. There’s a lot of uncertainty heading into the offseason for both sides. 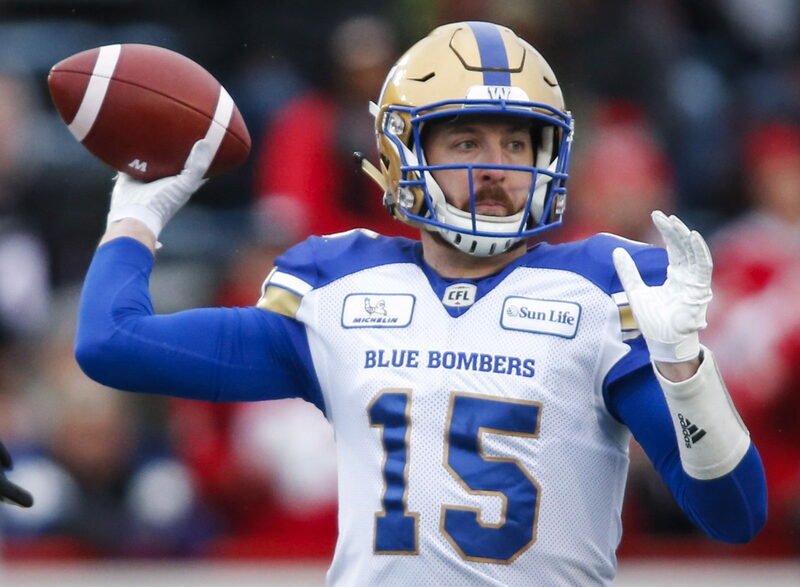 The numbers were down for the Bombers starting QB this year –he threw for 18 TDs and 3,146 yards, but had a career-high 13 interceptions – but the club is 30-15 in regular season games he has started since 2016. Walters said Friday Nichols is under contract through the 2020 season. “When Matt’s playing clean football, we win,” said Walters. “It’s double the amount of wins versus losses when he’s playing. He’s the leader of our team, the guys rally around him. He had a little bit of a stretch where he tried to do too much and make plays instead of just letting the game come to him. He took a deep breath over the bye week and he cleaned that up. All teams evaluate their depth chart top to bottom, whether the top features a future hall of famer or is a spot in need of an upgrade. Walters was asked if the club would examine the possibility of adding a QB like Mike Reilly – he is a pending free agent – or other pivots. “We talk about everything,” said Walters. 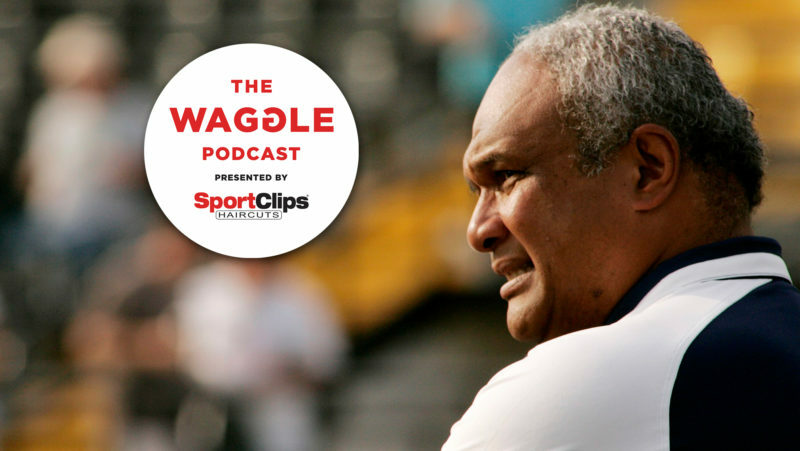 “You look at the free-agent list that just came out and you look at your roster and see financially where it fits, how it fits, and positionally across the board who comes in and who doesn’t. 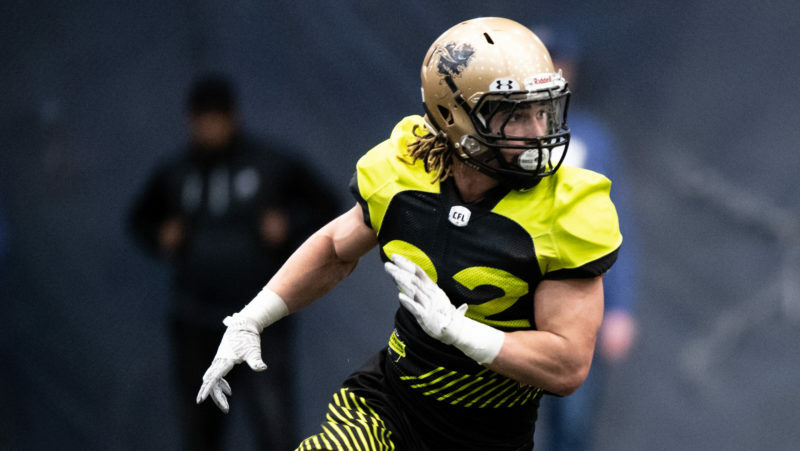 The Bombers receiving corps is constantly compared to others across the league, and as a result, the scouting staff is often criticized for not unearthing the latest Brandon Zylstra, Duke Williams, Gregg Ellingson or Luke Tasker. FYI, Darvin Adams was the only Bomber receiver to crack the Top 20 in yardage in 2018; Ottawa, by comparison, had three pass catchers in the Top 10. But Walters pointed out that the Bombers commitment to the run and their ball-control attack did help the club lead the league in scoring and in rushing. That commitment also means that the slotback on the field side (Kenbrell Thompkins, Adarius Bowman) is getting fewer snaps as the club uses that spot to implement a fullback/tight end type to pound the ball or for maximum pass protection. The scheme debate aside, Walters did touch on a receiver-related topic that has dominated fan discussions for the past couple of years. “Do we need to find another receiver that can make plays outside of the design of the system? What I mean by that is a game like the Calgary game where it’s clearly a defensive battle we need to find players or give the players an opportunity to go up and make a 50-50 play and make a play to extend a drive. That’s what we need to have happen. 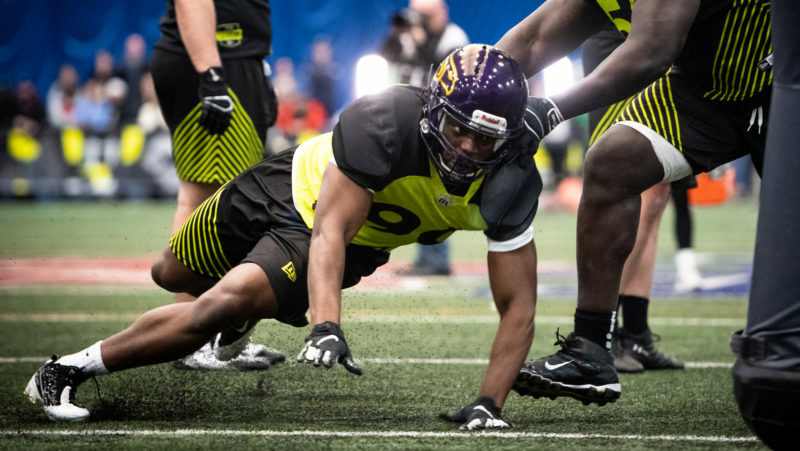 “I think you saw that in the Edmonton game where Corey Washington was well covered, goes up and high points the ball and makes a big play, lands, twists, keeps his footing and runs for a touchdown. Those are the things that, in my opinion, offensively we need to give our players more opportunity to do. But the counter to that is when you start throwing up 50-50 balls you start potentially turning the ball over and Matt Nichols is taking care of the ball. Quick one here: Walters said both defensive end Jackson Jeffcoat and linebacker Jovan Santos-Knox have indicated they would like to test the NFL waters this offseason. They would have until the end of January to see what interest there might be down south before the CFL free-agent market opens. Walters also said linebacker Maurice Leggett was released because the club did not plan on having him back in 2019 and opted to let him hit the market early to see if he could find a new football home. Walters said he had no clue as to what the 2019 salary cap might be, but the current consensus has the minimum salary being increased. In any case, that great unknown is affecting both players and their agents and the teams dealing with them. “You’re just going to have be patient and try and get as many guys as you want back and try to push as many as you can to get signed,” said Walters. “And then with some of them you’re just going to have to sit and wait until there’s more clarity with the CBA. The Bombers finished second in points allowed this past season – they were fifth a year ago – while trimming their 2017 yards against total by over 900. Walters indicated the work on defence represented the biggest strides made by the team in 2018.